Today I am providing Indian History GK Questions and Answers for Competitive Exams. You can easily get 2-3 marks with the help of Indian History GK Questions for Competitive Exams. 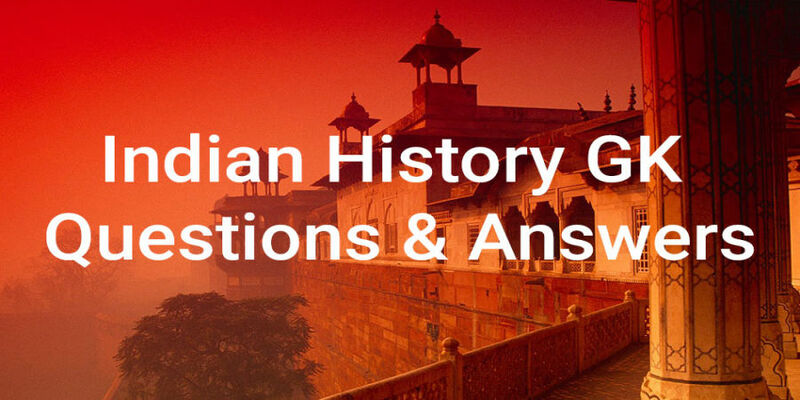 This Indian History Questions and Answers post is very important for competitive exams and it also related to General Knowledge Questions and Answers. I am providing you also Objective Questions with Answers of English Grammar for SSC Exams. These questions are very important for any types of Competitive exams. Visit: Tense Exercise with Answer for SSC Exams. 5. Which one of the following Harappan sites is NOT located in Gujarat? 6. Which one of the following Indus cities has houses with doors on the main streets? 7. Which of the all Harappan sites, which has the most impressive drainage system? 8. Which of the following was not one of the ruling dynasties of South India in the Sangam Age? 9. Which was probably the most popular assembly in which even women enjoyed an equal status with men in the Early Vedic period? 10. Which one of following pairs is not correctly matched?